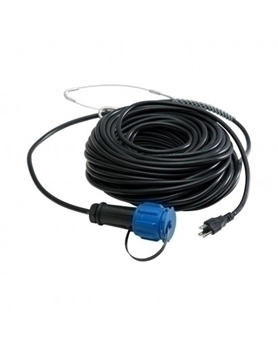 Airmax® LED Light power cord comes with an underwater disconnect makes it easy to remove the power cord from The EcoSeries™ 1/2 HP Fountain LED Light Sets. For ultimate protection against muskrats and other rodents, the power cord is covered with a stainless steel sleeve to prevent damage. Power cords are available in 100', 150', 200', 250', 300', 350', 400', 500', 550', 600', 650', 700', 750' and 800'.